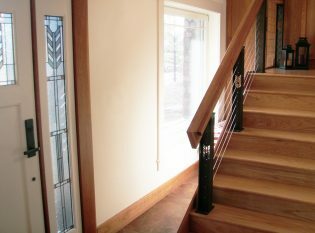 Our client in Flagstaff, Arizona has a front door with a unique herringbone pattern etched in its windows and they wanted to carry this design throughout the entire home. 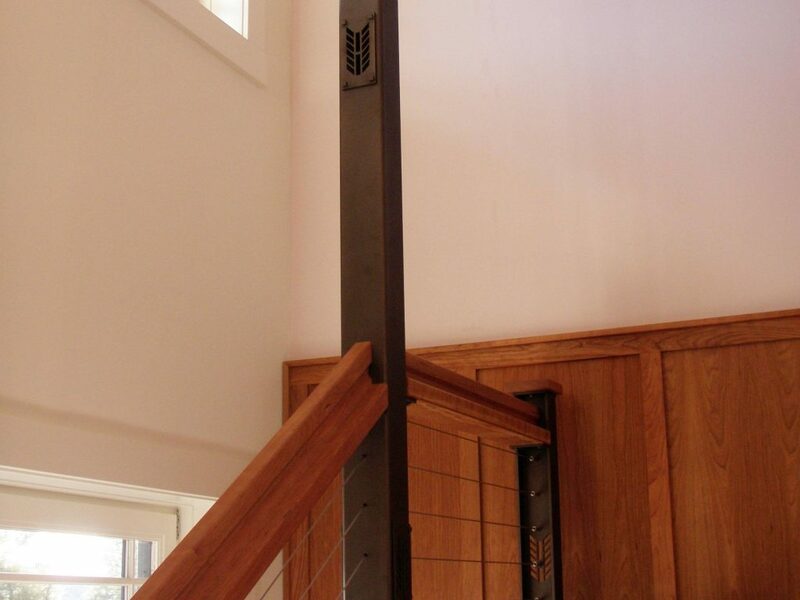 We customized our Prairie Style railing posts to incorporate this exact herringbone pattern. 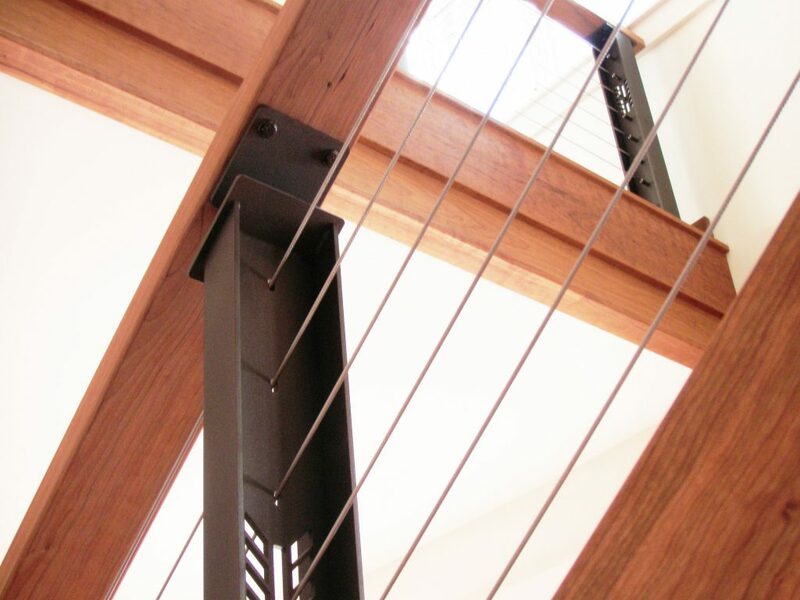 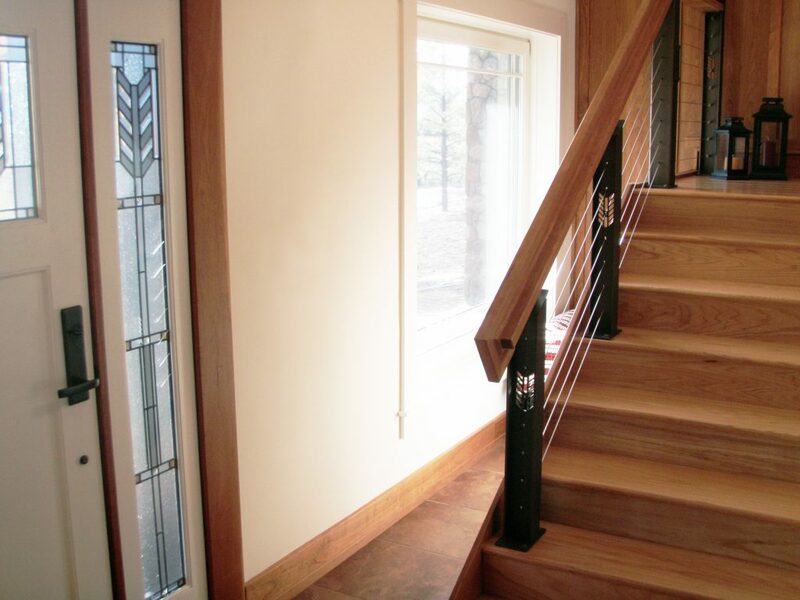 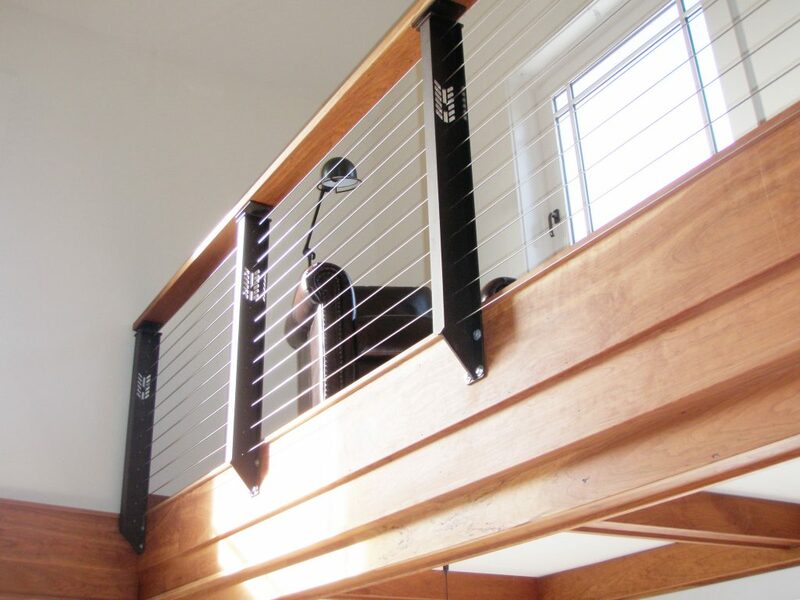 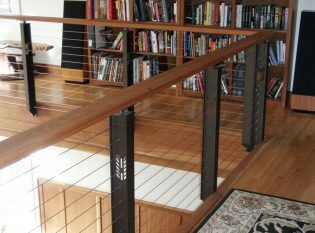 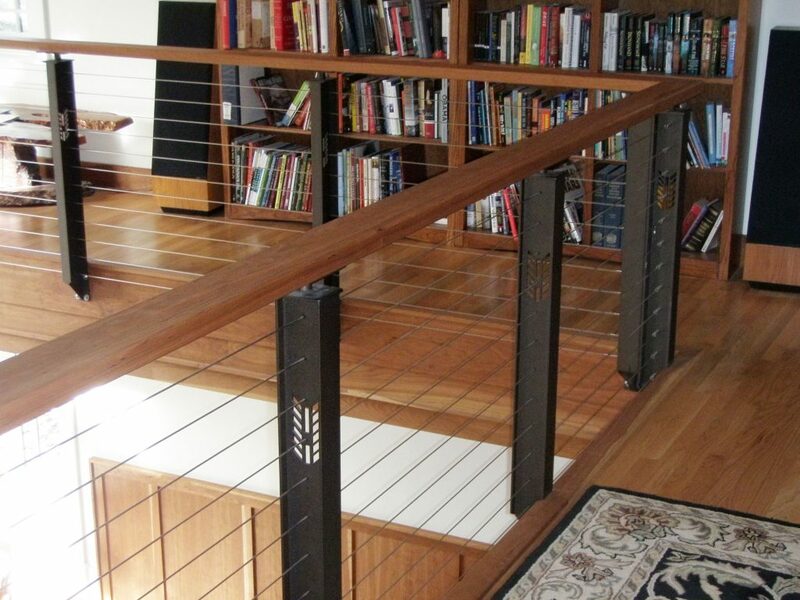 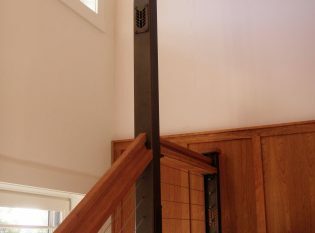 The craftsman style cable railing runs along the interior staircase and balcony.